On Monday morning early trade, the Indian Rupee depreciated by 6 paise to 67.82 against the US dollar at the Interbank Foreign Exchange due to increased demand for the American unit from importers amid foreign fund outflows. Dealers attributed the fall in rupee to increased demand for the US currency and lower opening of the domestic equity market but the dollar's weakness against some currencies overseas because of the mounting tension between the US and China capped the losses. 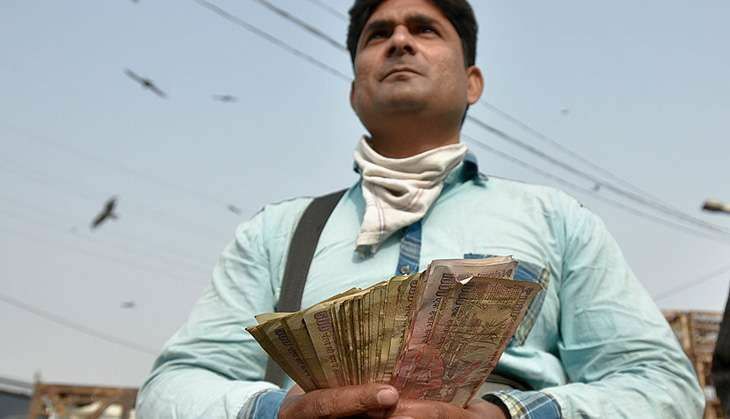 Staging a strong recovery, the rupee on Friday had gained 7 paise to end at 67.76 against the American currency, a day after succumbing to pressure created by US Federal Reserve's rate hike. Meanwhile, the benchmark BSE Sensex fell by 80.82 points or 0.31 per cent to 26,408.74 in early trade.